Lost photos or video files from SD card? No worries! Thus guide will tell you how to recover deleted files from SD card and presents the recovery process step by step. While you are fiddling with your digital camera and exploring all of its functions, you suddenly trigger the function that delete all photos from the SD card. Also, you may delete a photo that doesn’t look good or you don’t need, but you delete other photos by mistake. These scenarios could happen to all camera users. What will you do if you are caught in these troublesome situations? It’s big pity to lose precious phots off camera, for nobody can capture those happy moments again. If you have never experienced data recovery process, you have to learn how to recover deleted photos from SD card first. Such steps provided by this article will enable you get back lost photos easily. Memory card or SD card placed in digital camera is used to offer storage space for photos. When users take pictures, photos will be stored on memory card by a certain way managed by file system. If am image is deleted, it’ll be wiped off the file system instead of from the memory card. Once file deleted from file system, it’ll be marked as deleted and you can see it. This is because the space taken by the deleted picture is tagged as “Free”, so that it can be accessed and new images can be stored. Theoretically, the deleted image still stays on the memory card before it the space is taken by new files. Though you are not able to restore deleted photo from Recycle Bin, you don’t have to be a computer professional either. Besides, it is not necessary to waste money on data recovery services. Recovering lost photos either deleted or formatted can be as easy as ABC as long as you an effective program to undelete files. 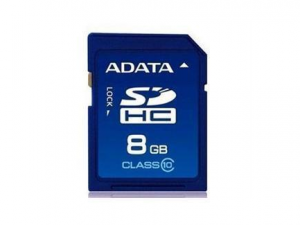 All you need to do is finding a reliable supplication for memory card. Efficient software is able to work with different memory card and various brands of cameras. 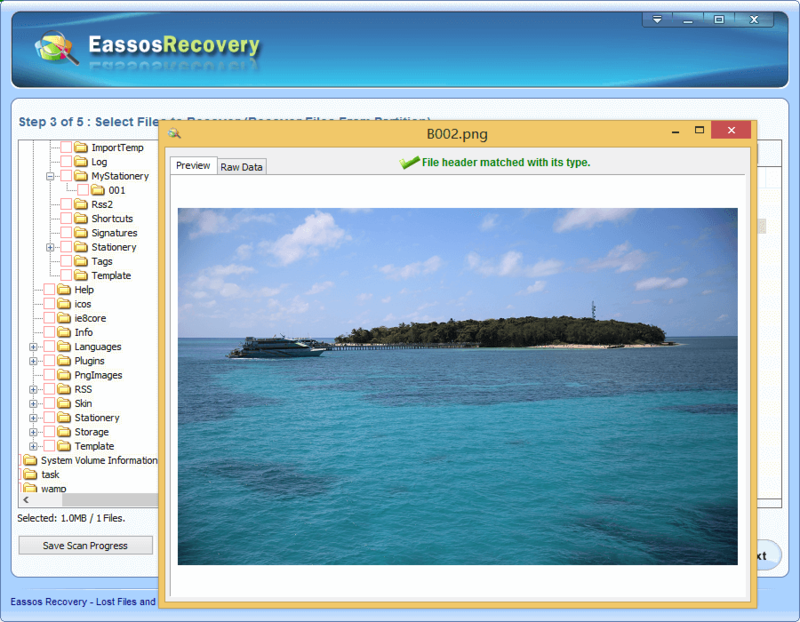 Then you can perform photo recovery without help. 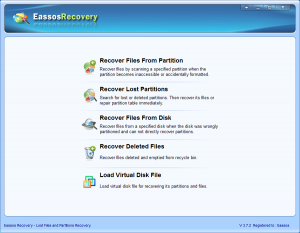 Here we recommend Eassos Recovery to recover deleted files from SD card. How to recover deleted files from SD card via free recovery software? 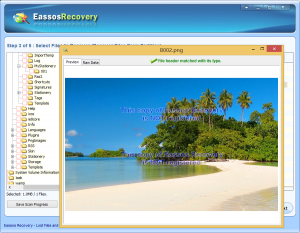 Eassos Recovery is a great option for both SD card recovery and photo recovery. It retrieves data via simple procedure and easy steps. 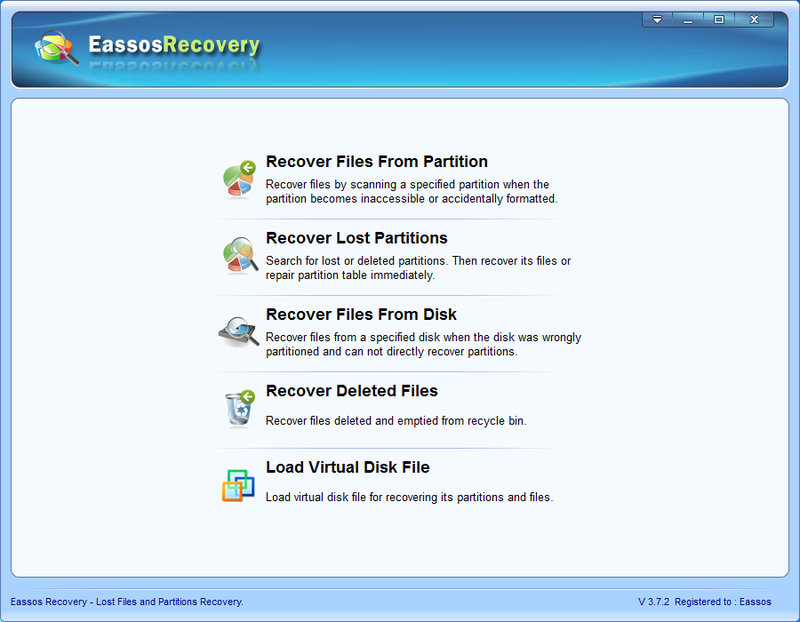 Before starting recovery, you need to download and install Eassos Recovery to your computer or laptop. Then take the SD card out of camera and plug it to computer through card reader. Then it’ll recognized as removable device in My Computer. Run the program and click the button “Recover Deleted Files”. If lost files are caused by other reasons, you should choose other modes. Select the SD card and click “Next”. Then the files scanning process will be started automatically. Preview files and recovery. The program lists all files just found and then you can preview files and get them recovered. This entry was posted in Data Recovery and tagged recover deleted files from SD card, recover deleted photos, SD card recovery by EASSOS. Bookmark the permalink.